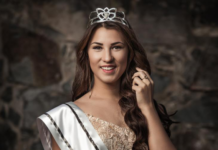 Isabel Dalley’s love for pageants happened after college when she started her career in modeling. 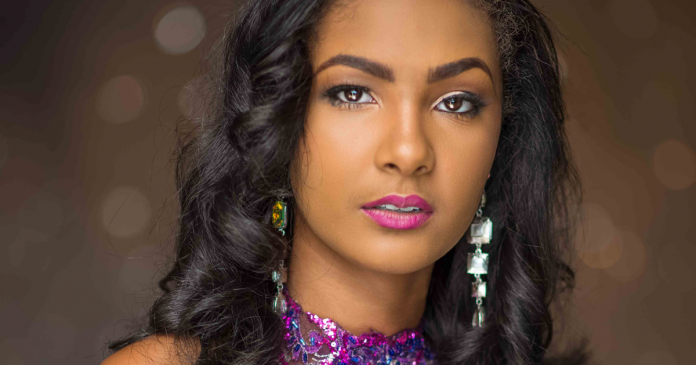 Now crowned Miss Universe Jamaica 2016, she hopes “to demonstrate great leadership and nurturing qualities throughout her reign”. Get to know more about her in this Beauty Talks. Standing at 6’2” many individuals may think that I’m tough and always in control, but truth to be told I am a very sensitive and caring person especially when it comes to the environment environmental issues. At present I’m a senior volunteer at the Montego Bay Marine Park for the past two years. I’m a creative person so also write poems in my spare time. After being bullied for many years about my height I felt awkward and was not as confident as I should be, I began to hate my height and the way I was made. However after being encouraged by my friends and family members that I was beautiful I began to see myself in a more positive light and I’m proud to say today I am confidently beautiful as Miss Universe Jamaica 2016. I am also an ambassador for the Anti Bullying Campaign in my country and I have been able to make an impact in the lives of many kids who have gone through similar situations by giving them words of encouragement by telling them my story and how I felt growing up, how I am today and how we can fight together to end bullying. Jamaica is a beautiful little island in the Caribbean with a population over 2.9 million people. Jamaica is known as the land of wood and water because of our numerous cascading rivers like the infamous Dunn’s River Falls and magnificent white sand beaches with azure waters that are said to have healing properties and are excellent for scuba diving and many water sports. Jamaica is the home of the legendary Bob Marley whose contribution made Reggae Music a global phenomenon. We have world class indoor entertainment venues as well as exotic clubs located by the beach on the side of cliffs which you feel the pulsating sounds of Jamaican music. If you are a thrill seeker- like me you’ll definitely enjoy Cliff diving at Ricks Café in Negril, surfing in St. Thomas, Exploring the Blue Lagoon in Portland, white river rafting, dune buggy riding, horse -back riding and cave exploration. Jamaica’s Cuisine is out of this world because of our rich cultural heritage our dishes represent different parts of the world such as our World Famous Jerk chicken which was from the maroons who are descendant from African Slaves to Curried goat which is derived from East Indians who came to Jamaica in the 1800s as indentured workers and we can leave out patties which were are originally from England and known as pasties but over time have been developed into delicious Jamaican Meat patties which have authentic herbs and spices such as such as Scotch Bonnet peppers scallion and thyme. Even our desserts reflect our culture a popular dessert is Gizzarda which was from Jewish Portuguese settlers who came to Jamaica to escape persecution. My country has a rich cultural heritage in which descendants of India, China, Africa and Europe all live together as one, hence our National Motto “Out of Many, One People”. I’ve always enjoyed eating vegetables and they are a large part of my diet. Growing up my mom would always prepare lots of tomatoes, carrots, corn, celery and string beans which I’d constantly be munching on. I stay away from sweets and unhealthy foods and this has helped me to maintain my figure. It should be noted however that beauty is not just what appears on the outside but comes from within. I believe that having a positive outlook on life and treating others well and with respect also makes one beautiful. The most difficult thing I did while preparing for the Miss Universe Pageant is being away from home and adjusting to a new environment. Montego Bay is a small city and everyone knows everybody in my community, whereas Kingston is a larger metropolitan city. Fortunately I have great friends and family to take care of me while I’m away from home. Another difficulty has been sticking to my gym routine, its hard getting used to working out every day and it has taken self-motivation, self-will and discipline to get that ‘perfect’ body to showcase on that Miss Universe Stage. I believe social media has its advantages in pageantry as it helps to give the fans a backstage pass into what’s going on in my life especially as it relates to my preparation for the Miss Universe Pageant; it also helps to promote each contestant and assists in making us more accessible to our fans. It does however has its downside and can expose us to cyber bullying which can greatly affect our self-esteem, with that said I’m encouraging all the fans to be mindful of the negative things you say about the contestants and that we all have feelings too. The role of Miss Universe should never be taken lightly, in fact I believe that just being a contestant in Miss Universe Pageant is empowering! It’s a platform for elevating many women’s careers, but most importantly being a part of this competition helps to build self-confidence and character, teaches discipline, poise and other positive lady like qualities. It builds and mold’s us and truly helps us to blossom and grow both during and after the pageant. My all-time favourite Miss Universe is Amelia Vega from the Dominican Republic who is to date the tallest woman to ever win the competition, standing at an amazing 6’2″ like myself. She has had an extremely successful modelling career, and has been the face for many Cover Girl campaigns, as well as landing covers on publications such as Cosmopolitan, Glamour, and Harper’s Bazaar. She also is married and a mother of two. I believe that Miss Universe must not only be beautiful on the outside but be beautiful on the inside. She should exude confidence, have humility, be aware of what’s happening in the world, and have an altruistic heart. I believe that I possess all these qualities and more that will make me a great Miss Universe. And finally, a message to all your supporters on Missosology.